A single speed urban street bike fitted with a Gates Carbon Drive which makes for the sexiest of sporty hot rods. This combo is a low drag, reponsive bundle of joy! Aage is a touring geometry designed to provide a bit more of a relaxed feel with out loosing the sporty snap our frames are known for. The result is tight stable ride that meshes really great with this build. Be it for an urban roller or a daily commuter this build will give you a very smooth ride with a really comfortable responsiveness without giving on the sportyness you so enjoy when you want to have fun. Our Urban line keeps it simple combining traditional rim brakes and Gipiemme Equip series wheels with a modern belt drive transmission by Gates (see below for detail images). This insures maximum power transfer at the lightest of weight without the risk of greasy pantlegs and rusty chains. Have your name, favourite cycling route or your company logo engraved on the top deck of your frame. Upload a file (.pdf or .jpg) with your design or idea and we will contact you to make sure we get it right. Dimensions should be within 37mm x 270mm. Lightweight Gipiemme TECNO 1.55 Hard anodised Aluminium wheel. Weight 1461g. Aage is a touring geometry designed to provide a bit more of a relaxed feel with out loosing the sporty snap our frames are known for. As a result you get a tight stable ride that meshes really great with this build. Be it for an urban roller or a daily commuter, this build will give you a very smooth ride with a really comfortable responsiveness without giving on the sportyness you so enjoy when you want to have fun. Our Urban line keeps it simple combining traditional rim brakes and Gipiemme Equip series wheels with a modern belt drive transmission by Gates, thus ensuring maximum power transfer at the lightest of weight without the risk of greasy pantlegs and rusty chains. 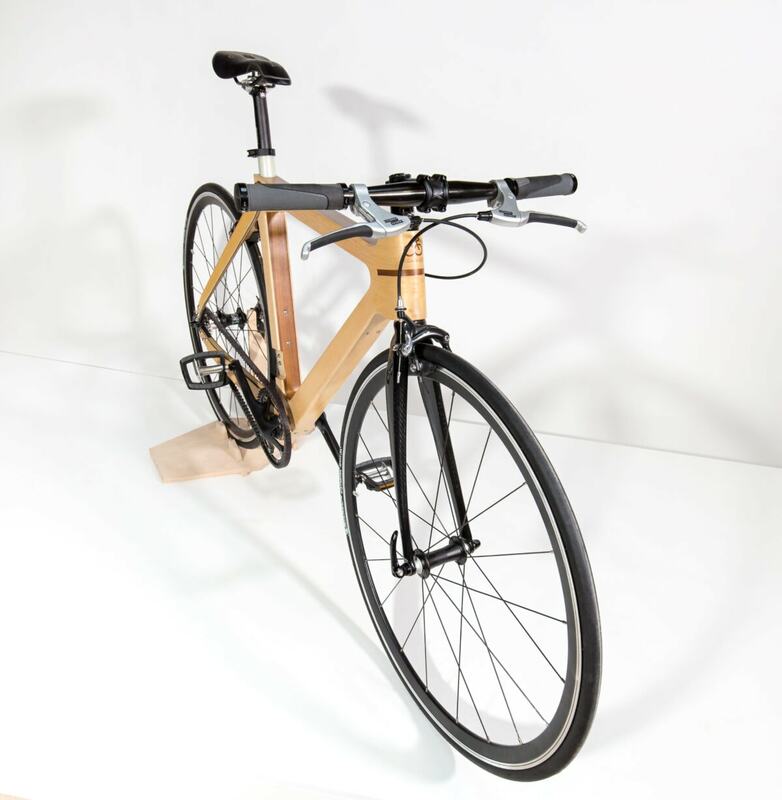 Why a wood and carbon bike? As designers and engineers we are fascinated by materials and our pallete of material tools here at Coh&Co Copenhagen is quite broad. We began as composite specialists in the marine industry and have since gained experience in design and manufacturing processes, utilizing everything from aluminium to stone. Given this background it is therefore not surprising that we at Coh&Co often get asked why we have chosen wood for our WOOCA bikes when we are so clearly open to other materials. Many assume that it is for aesthetic reasons, and although we are flattered by the complement, we believe that the beauty here is far more than skin deep. The beauty is in the ride. All of our WOOCA bicycles are handmade in Copenhagen. When purchasing a WOOCA bicycle, no fee is charged upon checkout. The total amount will be drawn from your account only once the bicycle is finished being produced and ready to ship. Delivery times on our WOOCA bicycles are 2-12 weeks depending if we have your size and wood combination in stock. We will send you an email with expected delivery time as soon as we receive your order, and will of course keep you updated on the progress of your bicycle during production time. Coh&Co Copenhagen is a young Danish company that designs and manufactures unique bicycles. Our bicycles distinguish themselves by utilizing unique material technologies and design concepts with the goal of producing bicycles that can last for generations, offer a great ride and will bring a lot of satisfaction on the roll. Our workshop is located in the northern part of Copenhagen. Come visit for a coffee and a ride! Want to be the first to hear about great offers, invitations to events, stories from the road and product news?